Large stone sundial with great astrolabe iron painting. Decorations on the stone of leaves and garlands of flowers, typical form of sundial baluster. The iron and 'executed entirely by hand from an old blacksmith Italian. The general form of sundial base was the baluster, round or square in section plain or enriched with sculptured ornament. 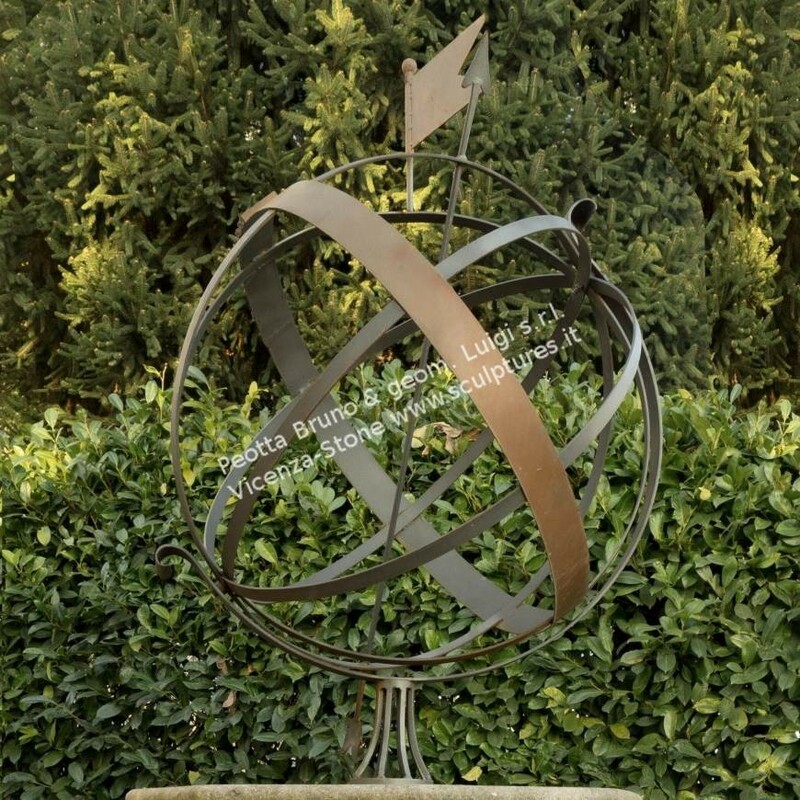 In the 18th century the sundial have had a large use on the great parks and private gardens.